1/4 x 34 x 31 in. 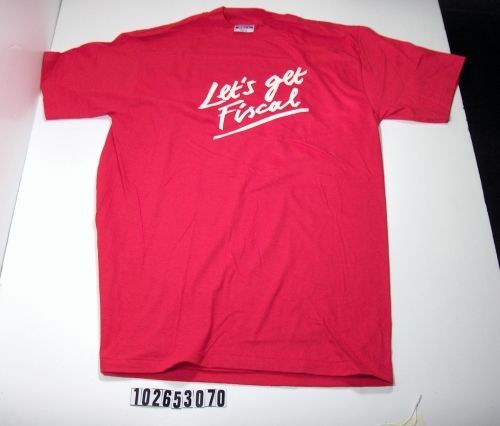 Front of shirt reads: "Let's Get Fiscal" . 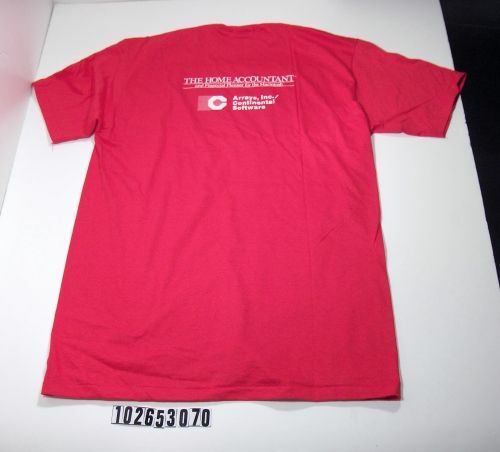 Back of shirt reads: "The Home Accountant and Financial Planner for the Macintosh".